UV-High Gloss or Matt coatings comply with the requirements of modern Printing Companies in the Commercial as well as Packaging sector and require specialized coating plates. 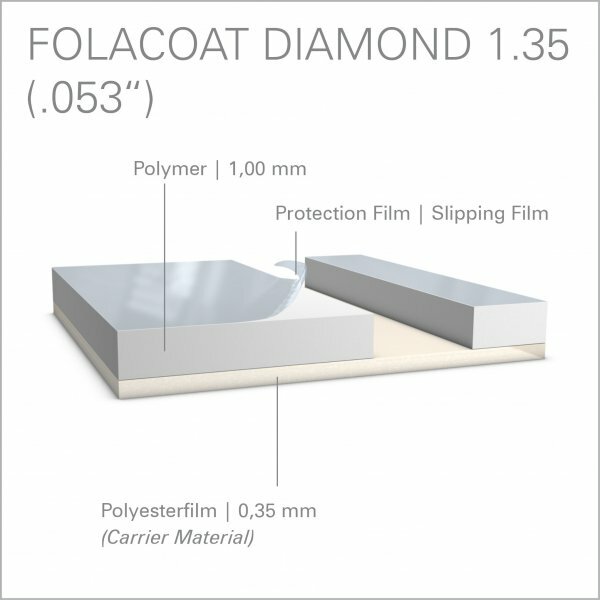 The Folacoat Diamond has a soft top polymer with excellent surface characteristics for excellent UV-coating transfer. 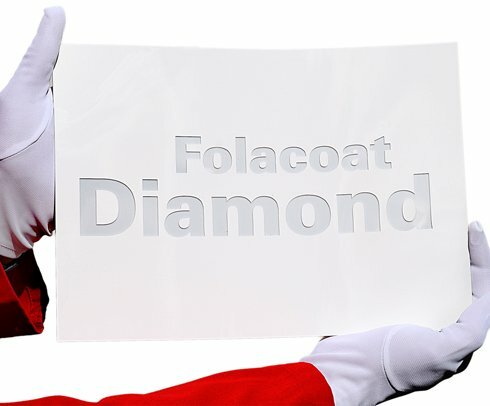 The coating plate can be quickly and easily stripped and ensures a long service life. Additionally excellent coating results with water-based coatings can be achieved. This coating plate is protected by a protective film as well, which still provides a good visualization of the cut. NOMNAL THICKNESS 1.35 mm: Recommended cutting depth: exactly 0.87 mm (.0343”). If you like to remove the slipping film before cutting, reduce depth by 0.05 mm (.002”). The pink polymer should be cut through, without cutting into the polyester carrier deeper than 20 µm (.0008”). Deeper cuts will reduce stability and must be avoided. If manual cuts are carried out, it should be ensured that an even ideal cutting depth is maintained to prevent unnecessary scoring of the polyester film.